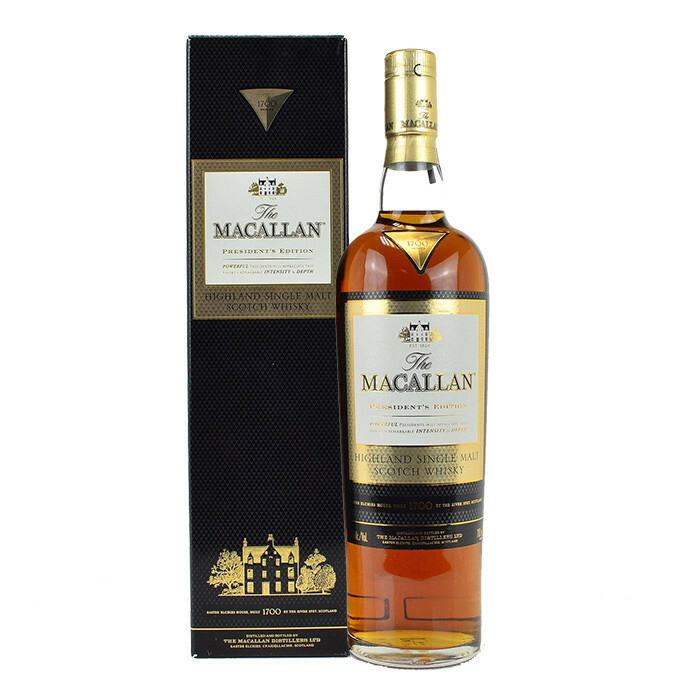 Bottled originally for the Chinese market back in 2011, The Macallan President's Edition forms part of the 1700 Series. The 1700 Series is a range of Single Malt for those who demand and appreciates the finest in life. The whiskies, hand selected at the peak of maturity by The Macallan Whisky Maker, are both rich and complex in flavour to give President's Edition its distinctive bright gold colour. Nose: Fresh fruit and sweet vanilla mingle with spice. Finish: Finish is smooth with remarkable length and depth.